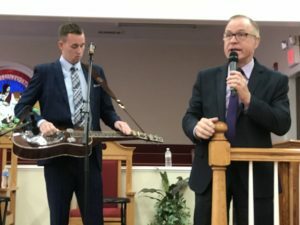 Woodstock, Georgia (June 10, 2018) — Troy Burns introduced his new quartet this morning, in Woodstock, Georgia. Troy and Tammy Burns were joined onstage by Ethan McMelly and Cole Watson, presenting the debut of the Troy Burns Quartet. Burns began his career 54 years ago with the Inspirations. Later, he became involved with the Smokey Mountain Reunion and also did some solo engagements. In 2011, Troy and his wife, Tammy, formed the Troy Burns Family. They sang as a duet and trio for several years. Burns had welcomed Ethan McMelly to the trio about two months ago. Ethan, who is from Cleveland, Tenn., sings bass for the group. 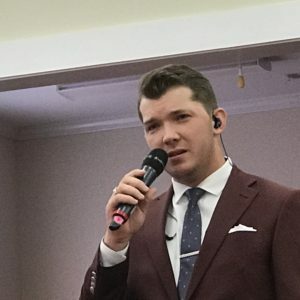 Today, joining the group for the first time, is bartone vocalist Cole Watson, from Gadsden, Alabama. 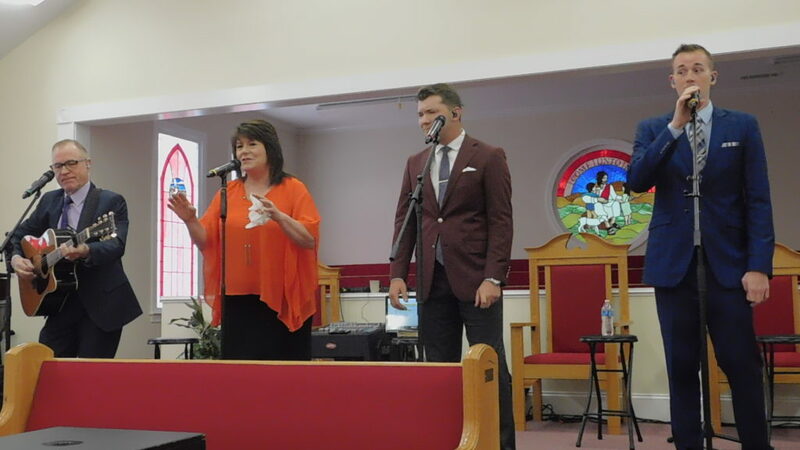 Watson is no stranger to gospel music. His dad, Mike, formed the group Exodus, where Watson got his professional start. 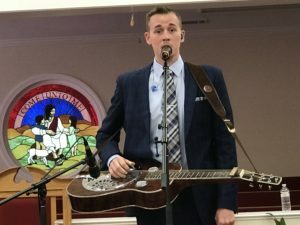 The Troy Burns Quartet presented the morning worship service at Carmel Baptist Church in Woodstock, Georgia. Watson’s family was in attendance to see him perform with Troy, Tammy and McMelly. The quartet did an outstanding job and were warmly received by the audience. 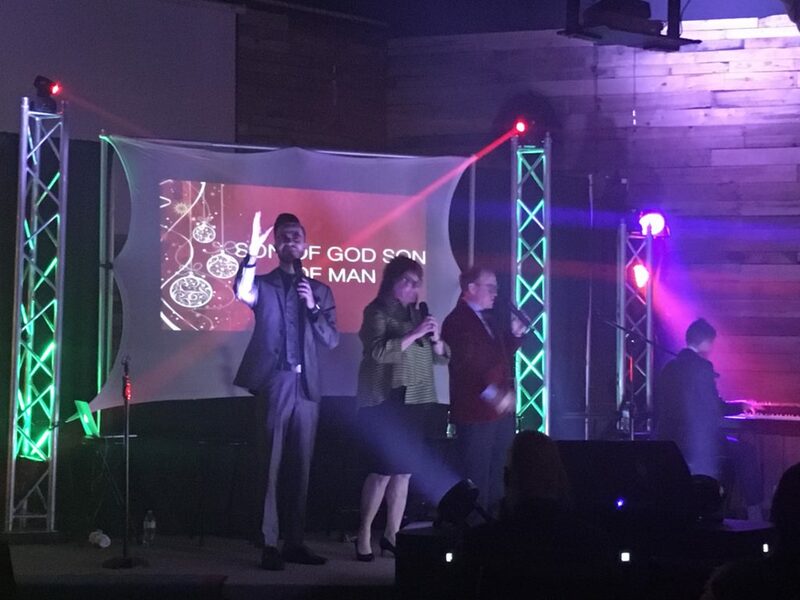 Last night in Mount Juliet, TN, the Troy Burns Family were on day 8 of their 26 city “Bringing Good News” Christmas tour. Before the first song was sung, the Christmas spirit was already filling the room with the lights and decor on the stage. 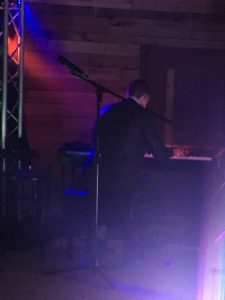 The show began with pianist, Jacob Klutz, performing a medley of Christmas favorites. Troy Burns, his wife, Tammy, and Shane Mathis then took the stage. Their first song was “Good News” which Burns has sang many times before as a 30-year member of The Inspirations who recorded the song in the 80’s. This event was very intimate and more than just an ordinary concert. Each part of the program brought specific emotion that everyone attending could relate to. 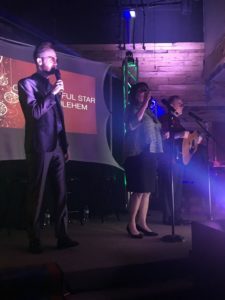 The audience enjoyed hearing Christmas favorites like “Beautiful Star Of Bethlehem” and “Away In A Manger” as they were performed in tight family harmony. The stage lighting was just enough to secure the mood of the night while subtle enough to where it wasn’t a distraction. You should have seen the eyes light up all over the auditorium when snow began falling from the snow machines high above the set. During a beautifully detailed piano instrumental of “Oh Holy Night”, the vocalists left the stage and then returned with a festive wardrobe change. 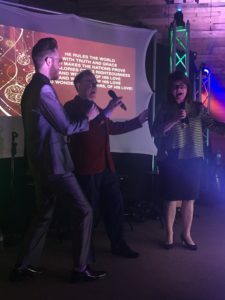 In addition to the traditional Christmas songs found in church hymnals, the Troy Burns Family also sang feel-good classics like “Winter Wonderland”, “Jingle Bell Rock” and “I’ll Be Home For Christmas”. This was followed by a touching song about those we love who are spending Christmas “With The Son Of God”. It sounded like a well-rehearsed mass choir when the audience was asked to participate and sing along to Christmas carols like “Joy To The World”. One of our favorite moments was when they performed a beautiful version of “Noel” with full multi-media playing on the big screen in the background. Vocalist, Shane Mathis, who is also an ordained minister, offered a beautiful reading and gave a heartfelt testimony. It was a night designed for all ages to promote Christ in Christmas that genuinely felt like a family gathering. And talk about “Bringing Good News”, 8 people have accepted Jesus Christ as their Lord and Savior so far on this tour. To see if the “Bringing Good News” Christmas Tour is coming to a city near you, visit their website. To read the latest SGNScoops Magazine click here. To listen to SGM Radio click here. 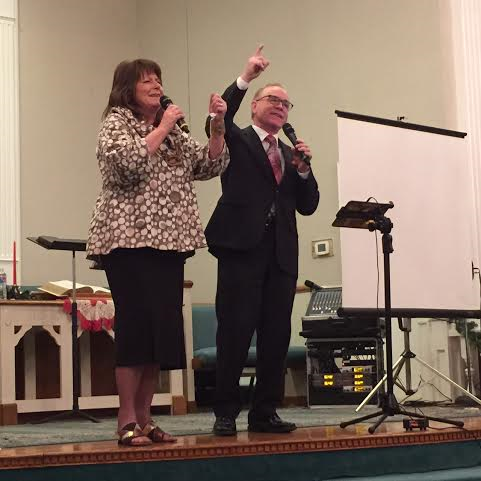 Last Sunday night, East Cobb Baptist Church in Marietta, Georgia hosted the Troy Burns Family. This has been an annual stop for the group. The most outstanding song of the evening was when Troy sang “Mary Did You Know.” The crowd gave a great applause after he finished. 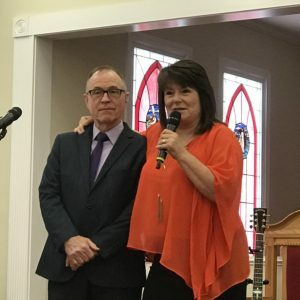 He was accompanied on most songs with his wife Tammy. They are currently looking for a baritone singer to join them.